I have been directly involved in staffing, running and managing light microscope imaging facilities for over fourteen years, and have taught the principles of light microscopy since 1992. My first serious foray into the microscopical world of the infintesimally small was when, with my father, I used my grandfather’s ‘brass and glass’ Beck microscope to take a picture of Drosophila melanogaster for my undergraduate project at university. In retrospect we could have done so much better had we both had a little knowledge, advice and instruction. From a professional standpoint, I have been involved with microscopes since 1986 when I was asked to evaluate and buy a photomicroscope for fluorescence microscopy. I was then working in a food science department in Bournemouth. At the time I was advised to read An introduction to the optical microscope by Savile Bradbury, a superb didactic teacher and author of anatomy, histology and microscopy books, and this kindled my interest. So when I started at Oxford University as a technician at the department of Human Anatomy (now DPAG), I was fortunate to have Savile’s tuition and guidance in person. I was encouraged to join the Royal Microscopical Society, to attend its courses, and so learned about the practical and theoretical aspects of light & electron microscopy. I have been an active member of the Society since 1988, and was awarded the RMS Student Medal with distinction for the City & Guilds 740/Royal Microscopical Society Technical Qualification in Microscopy (Tech RMS). I have worked in various departments at Oxford University and the NHS, both as a histologist and and also as an electron microscopist. 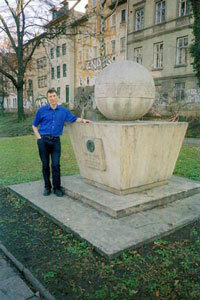 In 2003 I went to work at the Light Microscopy Facility of the Max-Plank Institute of Molecular Cell Biology and Genetics (MPI-CBG), one of the 80 institutes of the Max-Plank Gesellschaft. This is a truly fantastic place to work, and Dresden is one of the loveliest cities in Germany. 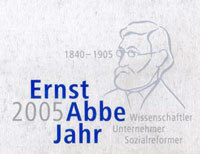 During the time that I lived in Dresden, Focus on Microscopy (FOM) was held in Jena in 2005 – Ernst Abbe year. Besides being a brilliant scientist and pioneer of light microscopy, Abbe had compassionate and revolutionary ideas. He introduced an 8-hour working day, sick pay and paid leave. The workers at Carl Zeiss were, and are, incorporated into the company which runs as a Stiftung or Foundation. The family stayed in England, and my attempts to teach my own children microscopy has met with limited success! They are now adults, and I have to live with the fact that none of my family share my love of microscopy but, hey! you can’t have everything. I left the ‘best job in the world’ purely to be with my wife and family, and returned to the UK in March 2006. I was appointed to set up, manage and run the joint light microscopy facility for the departments of Biomedical Science and Molecular Biology & Biotechnology at the University of Sheffield, the city from where my family, on my father’s side, originate; where I went to university and met my wife. It was interesting and enjoyable to work with colleagues who had taught me 30 years before. After leaving Sheffield I came to work for the Medical Research Council at the MRC Harwell Institute running the Bioimaging Facility. Just before joining in late 2009, I was asked by John Wiley to write on light microscopy for the new RMS Handbook series. Understanding Light Microscopy is now in press with the publisher and is due out in the autumn of 2018. Outside of microscopy I enjoy reading widely, and would be bereft if I could not ‘interrogate the printed word’. Perhaps the series of books that I return to again and again are those about Horatio Hornblower by CS Forester. My father was in the Royal Navy, and passed his love of these books onto me. They are about an extremely successful and well-loved leader, seemingly fallible, who struggles to succeed against the odds. This is a favoured plot of novelists, and Forester returns to it with Brown on Resolution. Forester wrote short stories and other novels too. Best known is the film of The African Queen, but his short stories are brilliant (e.g. Gold from Crete). If you want to start with Forester, read the short story Hornblower and the Widow McCool which was published with the unfinished book Hornblower and the Crisis. Another of my favourite non-microscopical books is Deaf Sentence by David Lodge which neatly describes with good humour the social isolation that can result from being deaf or hard-of-hearing. I’m thus delighted that our daughter worked with the deaf-blind for the RNID, since deafness is not a visibly-obvious disability, yet is a very profound one. Both at Sheffield University and here at Harwell, I was fortunate to work with colleagues engaged in deafness research. I am concerned that the rise of in-ear personal headphones will cause hearing problems for many more people, later on it life, who were born with good hearing. For more information see here. 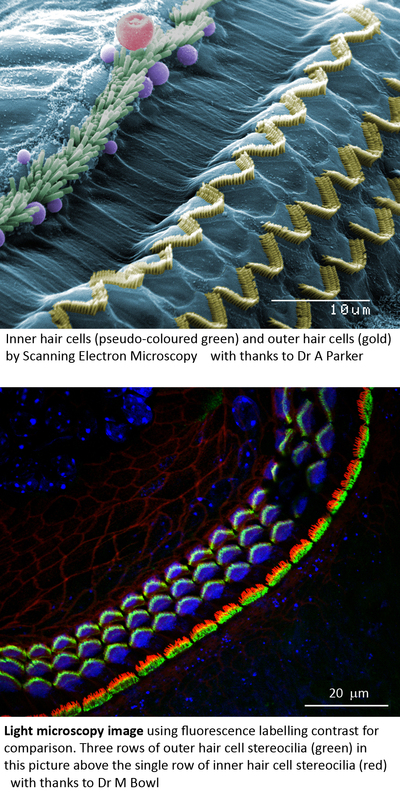 This download shows images of hair cells by fluorescence light microscopy and scanning electron microscopy. A further book that I value is the Bible – the world’s best selling book. It is timeless yet contemporary, and addresses every human condition. Another favourite is Bunyan’s Pilgrim’s Progress, a wonderful allegory written by a man who knew the cost of discipleship in an age when the social fabric of English society was rent by turbulence. I particularly like the Collins edition of Pilgrim’s Progress written in Bunyan’s original prose. Jesus: whether you love him, loathe him, or are indifferent, I invite you to think about this statement by James Allan Francis. Like many, I find Shakespeare is a marvellous playwright. I also love the richness and redundancy of the English language. For a taste of what I mean, go to Michael Quinion’s World Wide Words as just one example. What I like about Shakespeare is not only his insight into how we tick, and his unique and timeless manner of expression, but also that he introduced so many new words into our language. In the picture above of our three children you can see little Richard in red. At 6 foot 7 inches, he’s still on the short side and drives a Z4. Just don’t ask how he folds himself into it. We have embarked on a self-build project together: the incomparable AC Cobra. The project is one of those ‘once-in-a lifetime’ that fathers and sons were put on the planet for. Wish us luck! 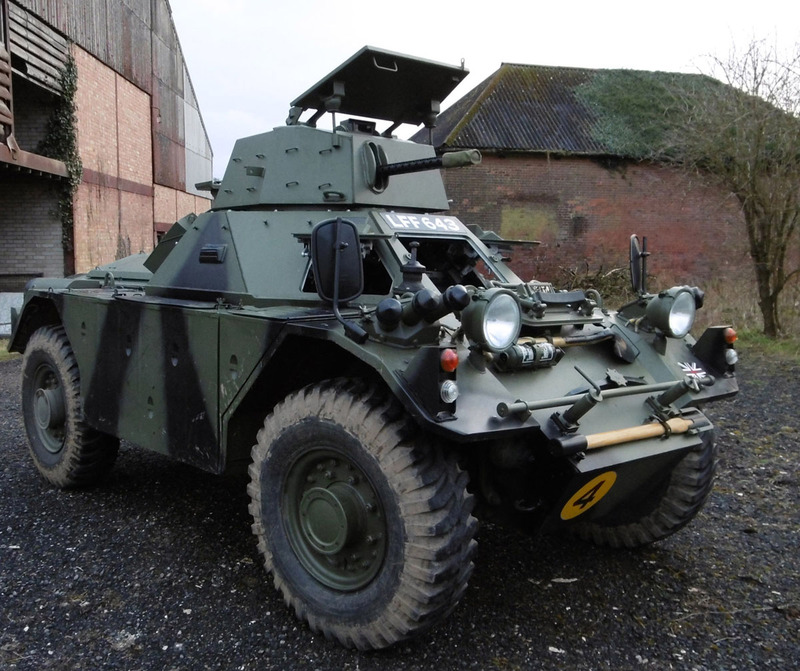 The other vehicle that has assumed a big presence in my life is my Daimler Ferret. You’ll have to go to my other website, when it goes live, to find out more. 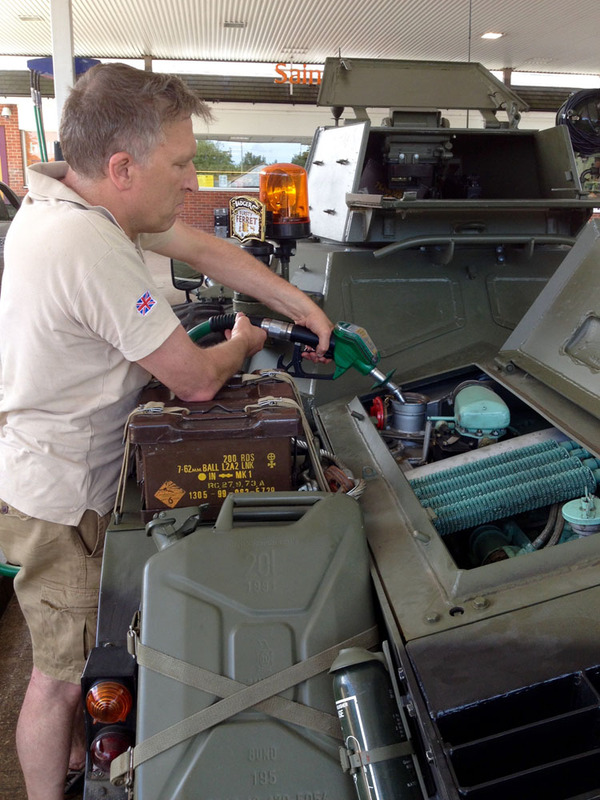 Suffice to say that it has a 4.2 litre straight-six Rolls Royce B60 engine, does 6 mpg, and is enormous fun! All work and no play makes Jack a dull boy. So, yes, I do have a life outside microscopy; yet I’m grateful for all the friendships that I have made through the Royal Microscopical Society, with people who use and have used the facilities that I have worked in, and with friends in the microscopy trades who have supported me throughout in my work.